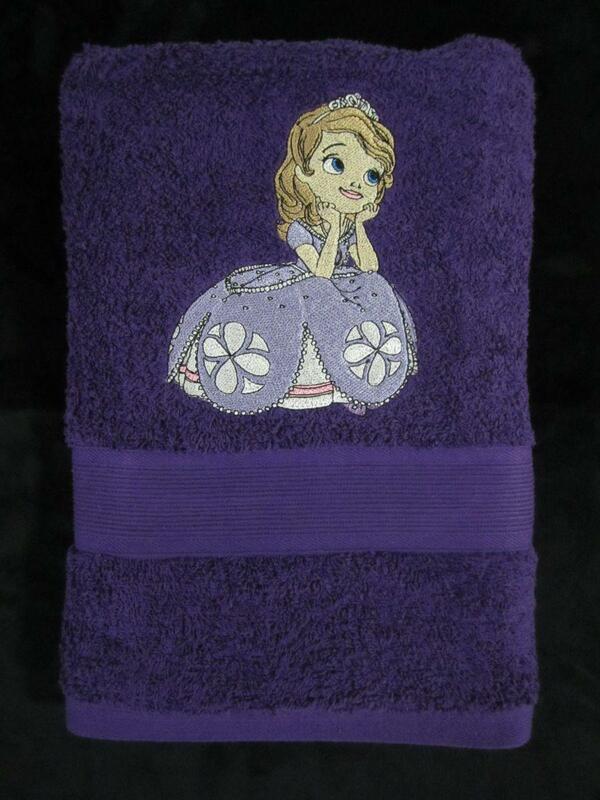 This is pretty terry towel with fluffy surface and nice embroidery sample used for its decoration. Author of this work piece Janine Stewart (Australia) chose Dreamy Sofia machine embroidery design for this goal. It is picture of beautiful little girl dressed as princess. She likes to dream very much. Embroidered picture has suitable color scheme for main background fabric so together they look cool.